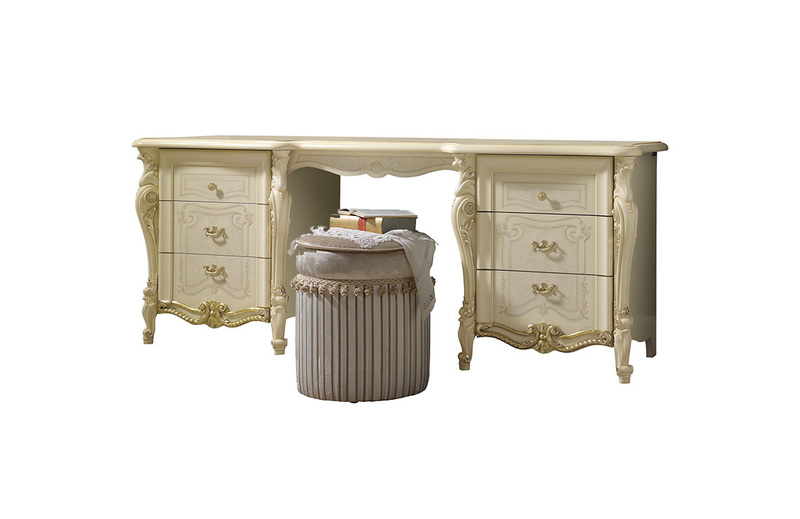 The dressing table seems straight out of a fairy-tale illustration. The delicate screen printing in dove grey which decorates the front drawers infuse the whole feature with magic and lightness. However, there is also space for the light which makes the lower decoration and handles glisten like precious gemstones. The elegant pouf rounds off the enchanting ambience, combining the exquisiteness of the velvet with the refinement of the stamped print.